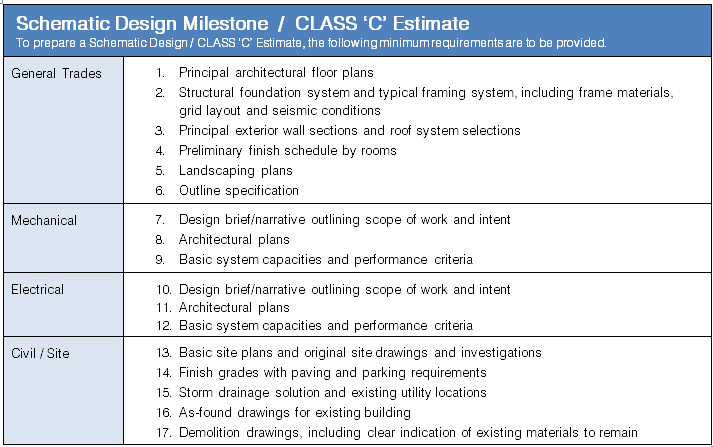 Article published on October 30th, 2017 in Cost Management, Why Quantity Surveyors? 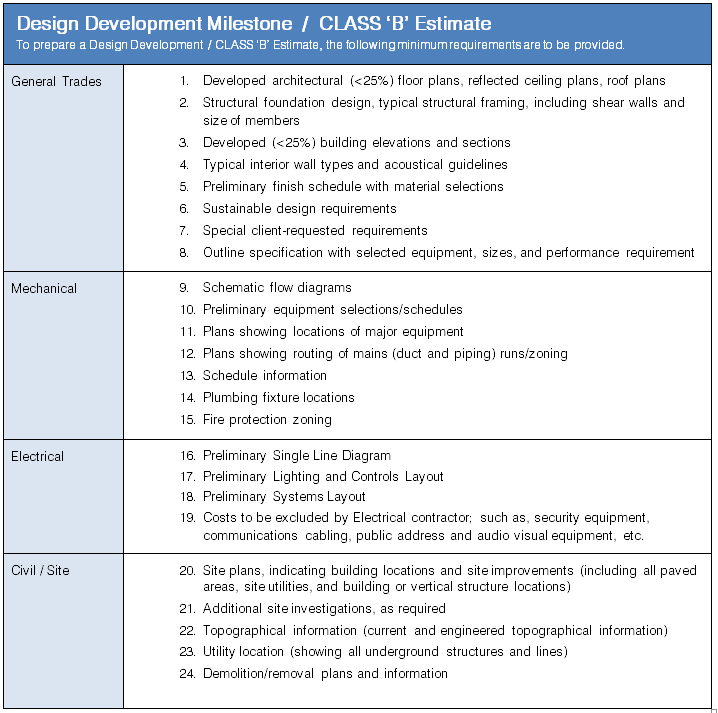 While the intent is to align the cost estimate stage with the design stage in practical terms this cannot always be accomplished. 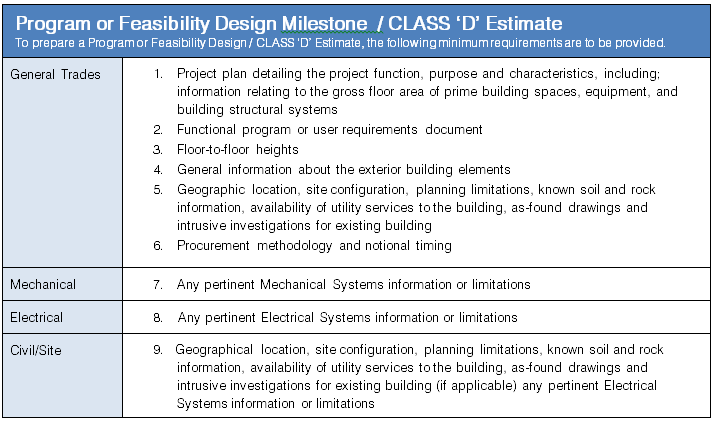 Interpretation of the design level required to meet design stage milestones is somewhat subjective, (not withstanding OAA guidelines) and as such does not always directly translate to adequate information for estimating purposes. 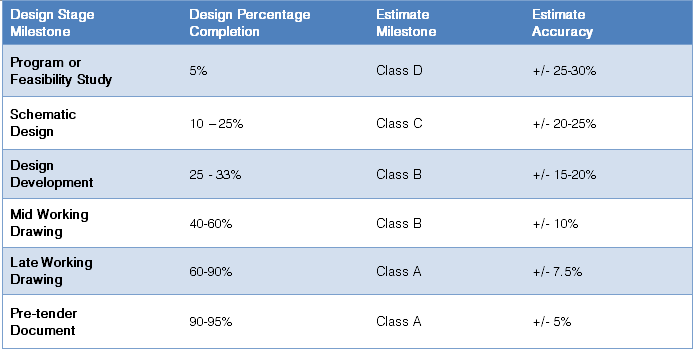 Below are quick check-lists created to help designers align both Design and Estimating stage milestones. 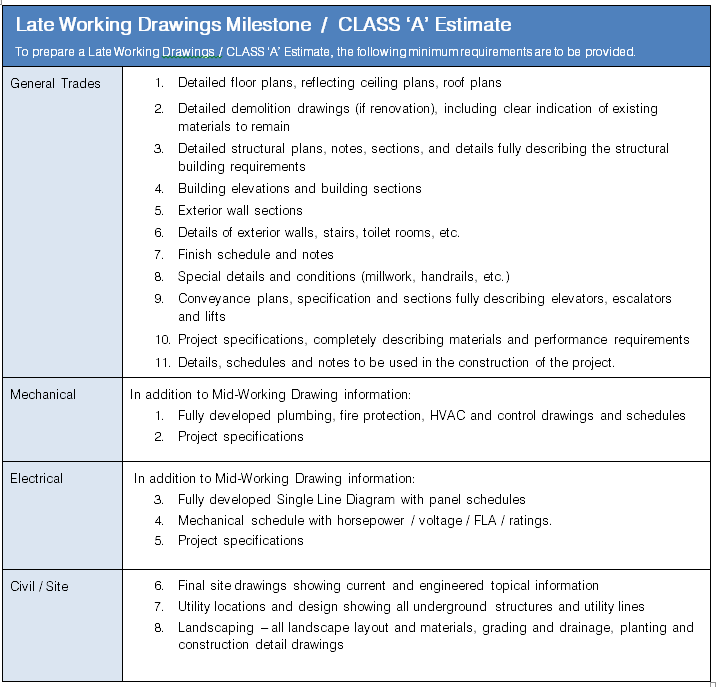 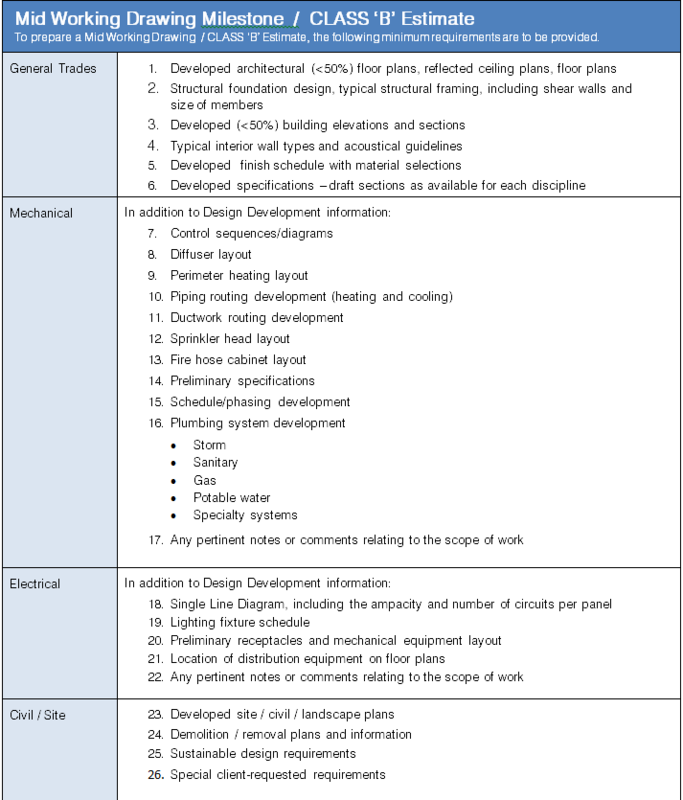 Following these guidelines will help align the design and estimating stage milestones and provide a more accurate indication of the project development and cost.